This last week at church (a great little church called Three Cross Ministries) back home in Elkhart, Pastor Jeff Lewis preached on the idea of being salt and light to the world. 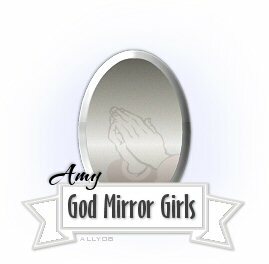 It was a great sermon that really spoke to me and my God Mirror theory. God needs us to be salt and light to the world. A world that has become bland and dark. We need to speak truth to others. Most of the time, the truth we, as Christians, know, is not what the World wants to hear. It does add flavor and color to our surroundings to not be the popular ones, and not blend in. This whole sermon kept drawing me back to the concept that our lives need to show others what God is and what he feels. They need to reflect Him to the world. His word has never told us that this would be easy, but that the rewards are innumerable. What are some ways we can reflect God to those around us? Let's think about some of the things that God is. God is Love. So, how do we love each other? We pay attention to each other. We spend time with each other. We think about each other. We support each other. We build each other up. God is also Truth. Truth is clear. Truth is not always pretty. Truth is not always easy to hear. Truth helps us grow. Truth teaches us. Everything I can think of about God brings me back to those two things. We need to learn the balance of loving and caring for those around us, while not letting go of God's truth. This does not mean we must be boring sticks-in-the-mud. We can still add our flavor to our families and friends, but we must also keep the Light of God shining in our actions and words. If there's a magic pill to make these things easy, I've never seen it, but it will always work to His Glory. My goal is to make myself available to God and His will. He will take care of the details, sometimes, even down to the point of putting the right words in our mouth when we're not able to do it on our own. I hope all of you reading this find a way to let God work through you. It's as much a blessing to the vessel as it is to those we love and encounter!